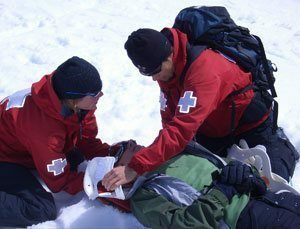 Choose from a variety of Professional Search and Rescue Kits. These Search and Rescue Kits are expertly designed to help you and your team members complete missions safely and quickly. With such a large number of rescue situations, it’s possible that you may need something custom built to meet your exact specifications. If that's the case, let our experts build a custom Search and Rescue Kit for you. Explore our selection below and see what gear is essential to your needs. Professional and volunteer rescue teams as well as preparedness-minded individuals can benefit from a well-stocked kit designed for search and rescue missions.